Topics are used to relate elements to each other for purposes of identifying similar Reports/Charts when the See Related drop-down list is populated allowing a more in-depth analysis of trends. 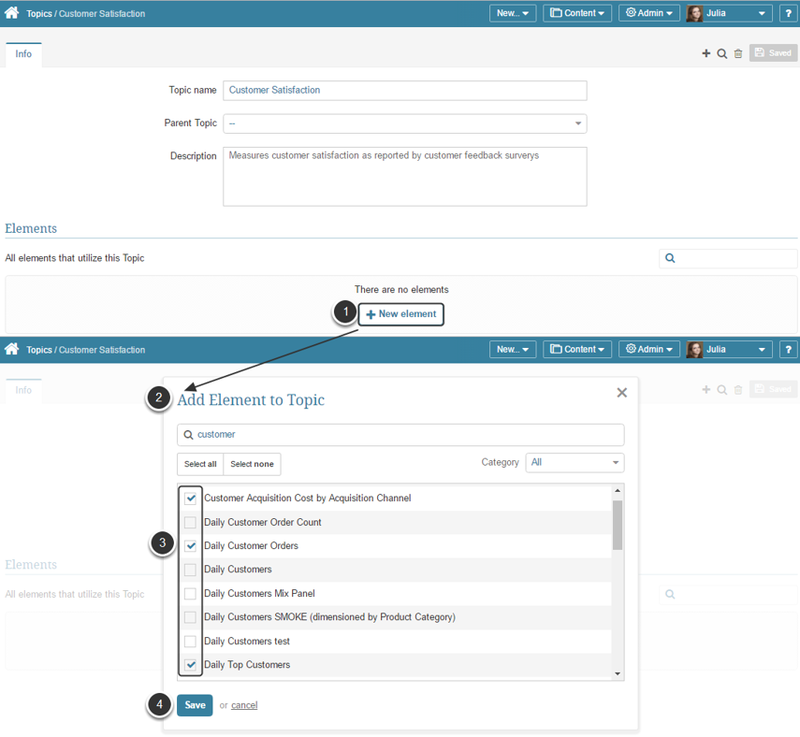 Topics are also used to filter and/or group elements on the Homepage Main Panel. Both of the available ways to add a new Topic are described below. The list of Topics previously created in the system opens. Click [+ New topic] at the bottom of the page. The Add Topic pop-up opens. 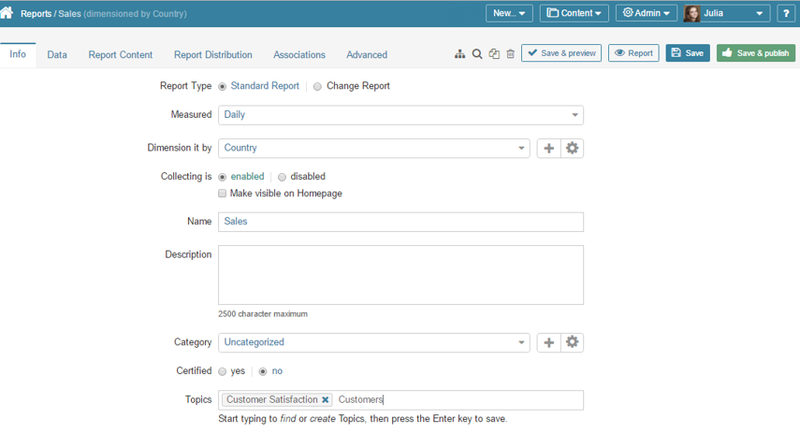 Save your entry to proceed with configuring this Topic in the Topic Editor. Start typing to find or create Topics, then press Enter on your keyboard to save.